Have you ever had a fight about who’s hogging the internet? You’re trying to watch a movie, while your partner listens to music on a smartphone, and at the same time your teen is playing Minecraft. Eventually, the game slows, the movie freezes, and the music pauses. This is all due to your internet connection falling apart. For most people, slow internet is a headache, but the real nightmare is where to find and buy the best wireless router. Most people have no clue where to start, but you don’t have to be a techie to find a good wireless router for your home. Fortunately, the top companies have released plenty of best wireless routers for multiple devices that are enough to satisfy your smartphone, video streaming, and online gaming needs. Luckily for you, we’ve created a list of the five best wireless routers available on the market. We dug through all the marketing noise and found the fastest and most reliable home wireless router for you to buy. Whether you just need something to perform basic online tasks or prefer a device with great features and performance, keep reading to find out what wireless router is best for you and your needs. If you ask any computer gamer which brand offers the highest quality gaming hardware, the answer will be Asus. 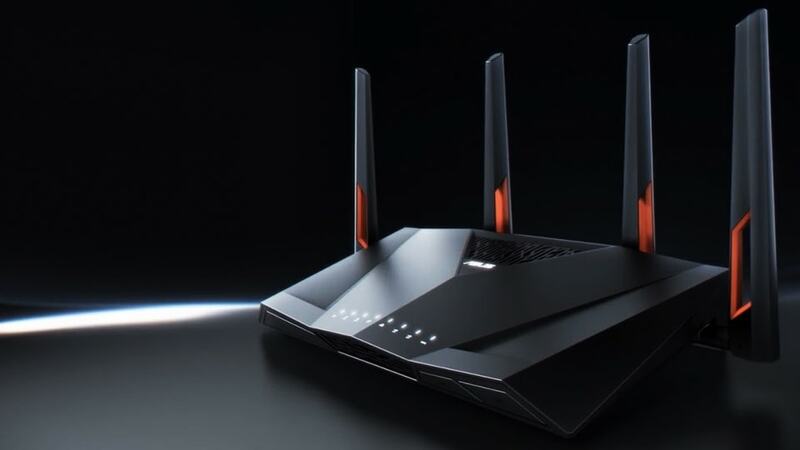 Asus has been working on creating some of the top high-speed wireless routers. One model I would like to focus on is Asus RT-AC88U. The Asus RT-AC88U is a beautiful piece of technology and similar to other Asus products that give you a perfect gaming experience. 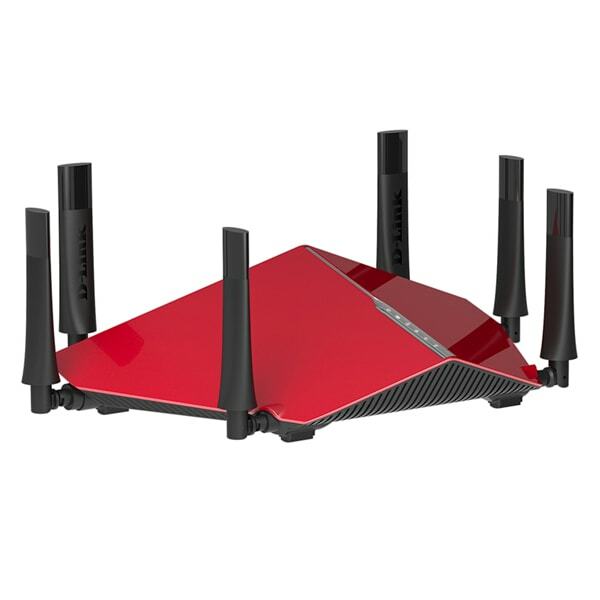 It offers a sleek black construction with red accents on the antennas. This model is completed with 8GB LAN ports that deliver high-speed internet without any performance issues. This dual band wireless router has the ability to act as a NAS as well. Asus proves that they pay attention to detail with their highly intuitive and easy to use web interface, making this an incredibly user-friendly product. The Asus RT-AC88U offers Wi-Fi at either 2.4 or 5 gigahertz. Not the tech savvy type? Want fast internet without the hassle of a long and complicated installation process? The Asus web interface will guide you through the installation process step-by-step. Simply plug in the small wireless router, connect the Ethernet cable, and turn on your computer. You will then be prompted to use the built-in wizard or configure the settings manually. Don’t worry about wondering if you plugged the Ethernet cable incorrectly, because the Asus RT-AC88U has you covered! This wireless broadband router automatically checks the connection before proceeding. Depending on your internet connection type, the Asus RT-AC88U will either be configured as a Dynamic IP, Static IP, or PPPoE. To make sure you’re always protected, you will be prompted to name each SSID and establish a network encryption key for both the 2.4 GHz and 5.0 GHz bands. The Asus RT-AC88U is the ultimate gadget when it comes to multi-client MU-MMO data streaming, file reading, writing, and transfers, regardless of what band you choose. The following product is also a dual band wireless modem router, however, this one is made by Netgear. For people unfamiliar with this brand, they are known for making an abundance of wireless routers. The Netgear brand has claimed itself to be a producer of high-quality network hardware. 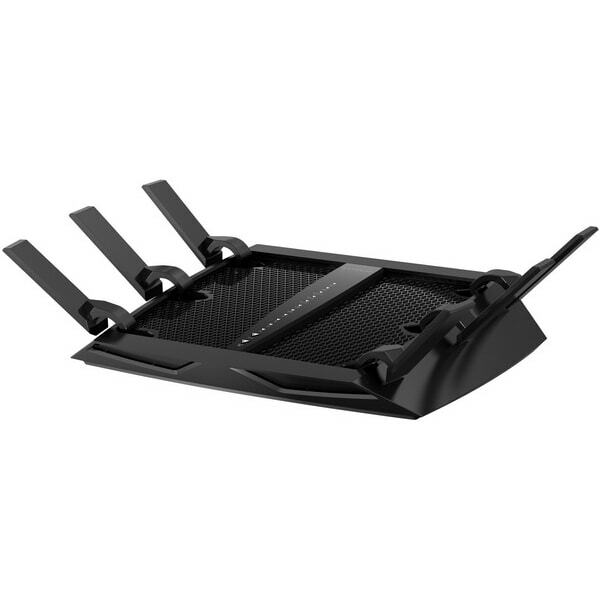 The appearance of the Netgear Nighthawk R7000 can be compared to that of a futuristic fighter jet. In its specifications, the Netgear Nighthawk R7000 is comprised of a speed of 1,300 Mbps when using a 5 GHz band and 600 Mbps when the band is 2.4 GHz. At a glance, this portable wireless router appears to be magnificent. It is fully black in color and has three removable antennas. The only problem we had with it is how big and heavy this router is. It is so large that it needs to be placed in a spacious area to fit well. The Netgear Nighthawk R7000 is one of the fastest wireless routers we have used to date, and it offers an outstanding efficiency. Both the 2.9 and 5 gigahertz bands performed perfectly and it showed no decrease in its speed during its testing period. The Wi-Fi router also succeeds in performing in different ranges, and the bands succeed in providing you appealing efficiency when compared to other Netgear wireless routers. Talking about qualities, the Netgear Nighthawk R7000 has a support for DD-WRT, meaning that this home wireless router is in every way able to run third-party firmware based on Linux. The router also supports OpenVPN, and with the help of the OpenDNS, there is a full parental control package incorporated into it. The router even comes with QoS (Quality of Service), a feature that allows you manage your internet connection upstream and downstream. The router can also function as a NAS and is indeed an outstanding one. The D-Link DIR-890L wireless router is one of the best home wireless routers from D-Link. 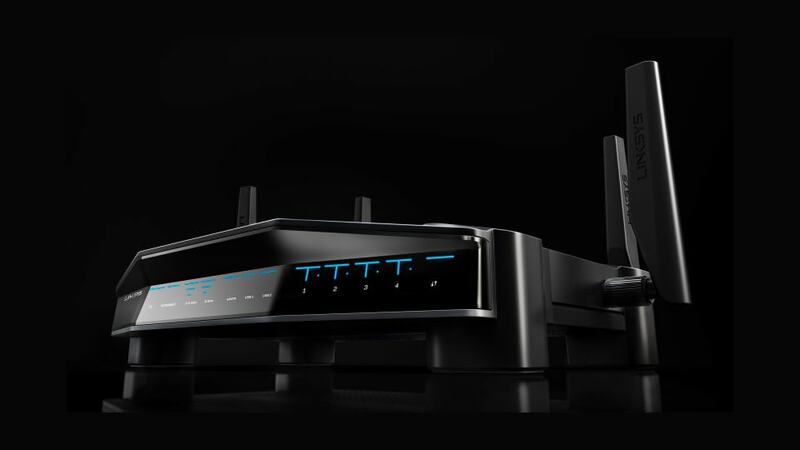 With its stylish and eye-catching look, this powerful wireless router looks like it was designed by race car enthusiasts. It’s covered in red and has black accents. Besides its modern design, other key features of the D-Link DIR-890L are its high-speed and good functionality. Based on conducted tests, the router is also easy to install and use, and has a good range when used as Wi-Fi. The best wireless modem router can also be used as a NAS by installing an external hard drive to it. The D-Link DIR 890L has six antennas, giving it a very wide range and the ability to connect to a number of devices simultaneously. If you’re a gadget geek who always has more than one item plugged in, this router is perfect for you. Unfortunately, the antennas can’t be detached, but that is a small price to pay for such a great performance. The only downside to this router is the limited number of LAN ports. There are only four ports, as opposed to other long range wireless routers that have eight. If you have no need for a large number of LAN ports, then this router could be the perfect fit for you. For fans of the Netgear Nighthawk R7000 who at one point or another felt the need to have something a little more enhanced, the Netgear Nighthawk R8000 X6 is the perfect match for you. The Netgear Nighthawk R8000 X6 is a tri-band router, which makes it quite pricey. However, when you put into consideration the variety of amazing features it has, you will see that all the money spent on it was definitely worth it. 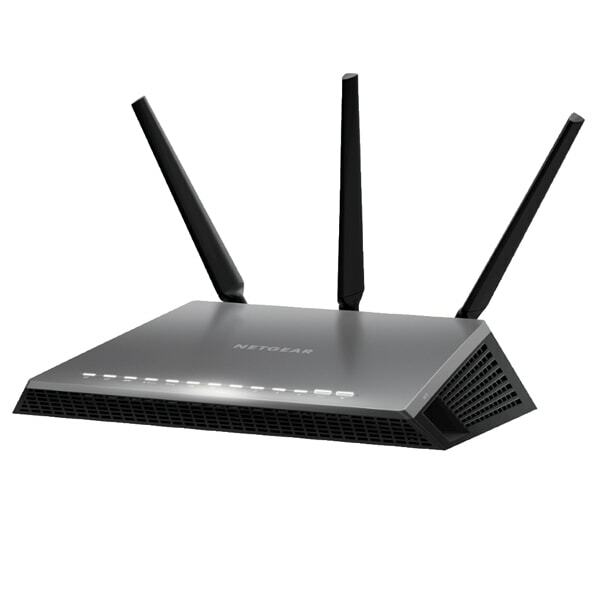 The only similarity between the Netgear Nighthawk R8000 X6 and its predecessor are the colors. Its features have been remodeled to fit all your preferences. It also not only has a superior footprint, but is comparatively more compact than its sibling. This feature means that its six antennas can be collapsed effortlessly. Of all of this makes this wireless Wi-Fi router look like a real masterpiece. This router can give you awesome speeds of up to 5 gigahertz. However, while the 2.4 gigahertz speed is ok, it’s not as fantastic as its predecessor. 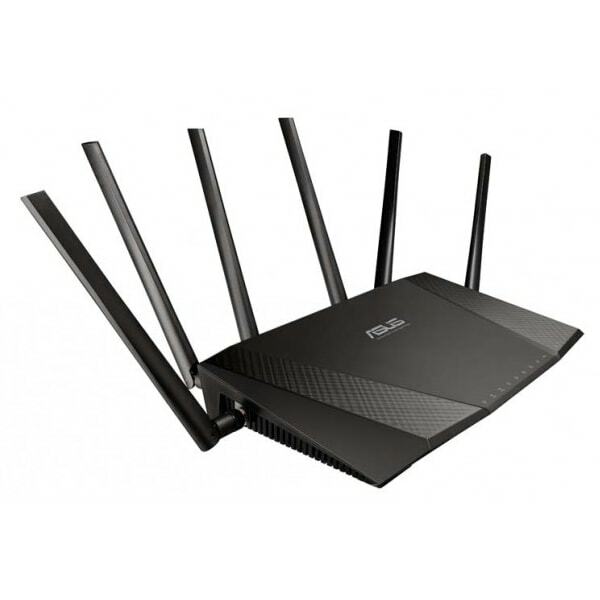 If you are a consumer looking to buy a top rated wireless router that’s eye-catching with its sleek and high-quality design and also boasts multiple industry leading designs, look no further than the Asus RT-AC3200. Because it has a more than average wireless router price tag, it leaves some consumers skeptical as to if it’s worth buying. The various features in the Asus RT-AC3200 though easily turns doubters into believers. 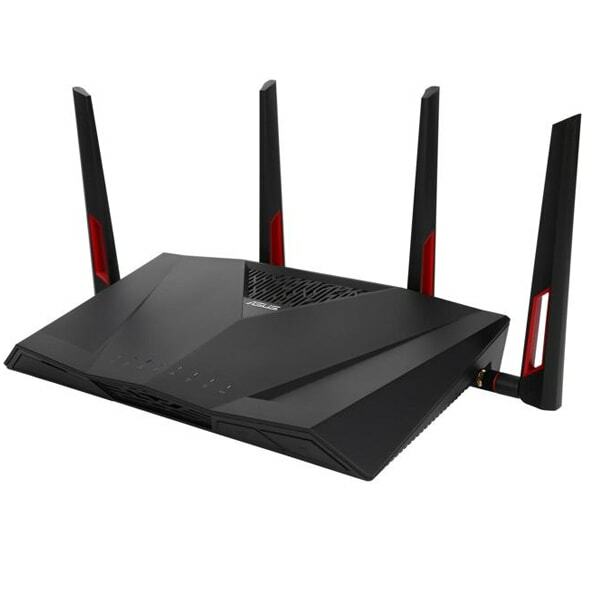 Looking like a strong wireless router you would expect from the Asus company, the Asus RT-AC3200 comes with six antennas that you can detach and replace with others. Its striking design makes it one of the best wireless router for home. For network geeks, this wireless router’s speed is amazing as proven by the various tests we have done on it. The web interface of the Asus RT-AC3200 is very user-friendly and easy to setup. However, its numerous features may cause problems for new users. The Asus RT-AC3200 can be used as both an OpenVPN server and act as a NAS. Both usages produce exemplary results. For those who don’t know, the best wireless routers come with several things you need to consider before you actually spend your money on one. They all have different available speeds as well as different Wi-Fi standards and multiple band support. 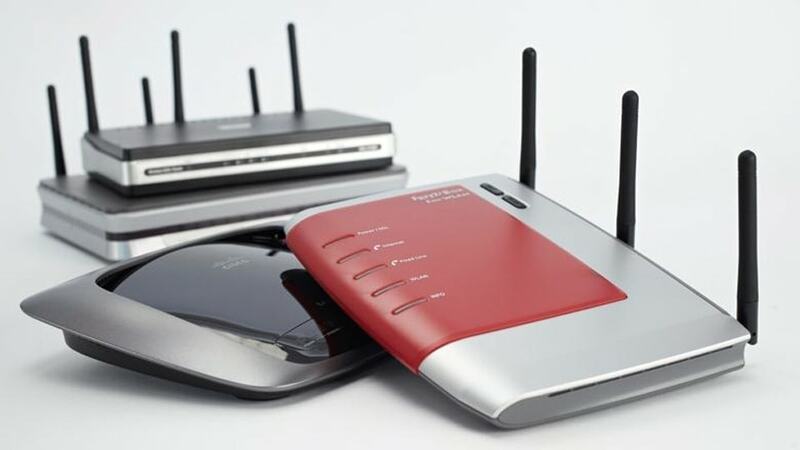 Whether it’s wireless or wired, a router allows for more than one computer to connect to the internet, saving you the need to have several modems. The router’s job is to transmit signals between the internet and any computers that are connected to the router. In other words, a wireless broadband router provides all your computers with one entrance to the internet. A wireless router for multiple devices has a low-powered radio transmitter and receiver. It can send and receive data through radio waves, thereby removing the need for wires. On each wireless router, there is a network switch and a wireless access point. The network switch connects all devices using Wi-Fi to other wired devices. The wireless point of access is essentially an antenna that works as a simple radio station. The antenna sends and receives the signals between your computer and the internet. Below is an easy-to-read list of the different types of wireless routers available and a brief description of each one. Dual-band wireless routers get their namesake from their ability to function on two different frequencies: 2.4 gigahertz and 5 gigahertz. They are arguably the cheapest and most common type of routers available. Because these routers are pretty new, there are many updates being made to the design with each new technological advancement. The best wireless internet routers have two 5 gigahertz bands and one 2.4 gigahertz band. N600 wireless routers have a combined speed of 600 Mbps (megabits per second) which is evenly split, distributing 300 Mbps in the 2.4 gigahertz band and 300 Mbps in the 5 gigahertz band. While these routers are tried and true, they work best with older systems and are not recommended for use in conjunction with high-speed internet. This is the upgraded version of the N600. This type of router evenly distributes a combined speed of 900 Mbps between two bands: 450 Mbps in the 2.4 gigahertz band and 450 Mbps in the 5 gigahertz band. As Wikipedia states, a wireless router is a device that performs the functions of a simple router with additional functions of a wireless access point. This means you are able to connect your laptop to the internet over the air using the 802.11 wireless standard. The greatest advantage is that multiple people can surf the web, watch YouTube, or download files all at one time using just one device. A wireless router is a magic box that lets you distribute your internet connection to a variety of devices like laptops, iPhones, iPads, and Apple TV. Wireless also eliminates the clutter that cables bring and you are able to move around your home freely using laptops and mobile devices. How much is a wireless router? You can get a really cheap wireless router for about $30, but the highly-rated ones tend to hover around the $100 mark. Which wireless router to buy? By the way, if you want to buy a commercial wireless router with guest access, look for a router that specifically says it allows guest access. This separates the public Wi-Fi from your private Wi-Fi network. Some routers will also let you plug in a printer to the USB port for network printing. Some are being designed to help you easily connect to your TV or media center. Before you go shopping, you should remember, the size of your living space affects its performance. Be sure to do an assessment of your house by looking at its size, building materials, and the place where the router will be located. Insulated walls and floors, glass, and solid brick will also affect the performance of your wireless router. Even uninsulated floors and doors can cause signal degradation, and the more walls the worse for the signal. If you live in a large house with many rooms and floors, you’ll want the best range wireless router with strong data throughput at a distance. Don’t forget to place the router in a central location, which will help ensure its signal is strong for all devices. For a small apartment, distance won’t play as big a role, but you’ll still need to consider all the walls and doors around. Finding the best wireless router is not a simple task. Routers are surprisingly complicated machines, and it’s not easy to know what you, as a consumer, need from it. When trying to balance the technical needs of your wireless router with your budget, it may be tempting to go for a router that is top-of-the-line and has more than you need, or even to go for the bargain model that can’t handle your network use. There is no “perfect” router that will fit every consumer. However, this list of the best wireless routers contains models for technical virtuosos as well as for the most budget conscious consumers. WiGig, announced in 2016, is the next wave of Wi-Fi speed with 802.11ad standard, and comes with a transmission rate of up to 7Gbps. It will enable users to download a 4K HD video in about four minutes and transfer a thousand photos in about five seconds. It’s astonishingly fast, but the main issue is that it is only good over short distances. It also works effectively in line-of-sight but doesn’t pass well through objects. 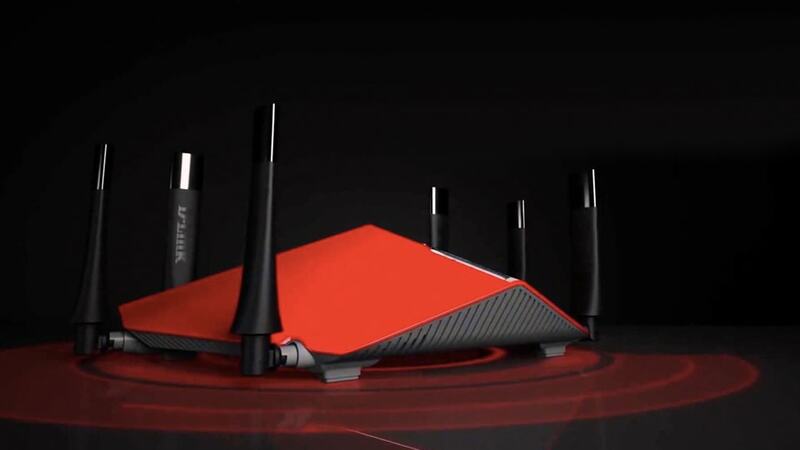 It will take some time for a wireless router like this to get into mainstream areas.